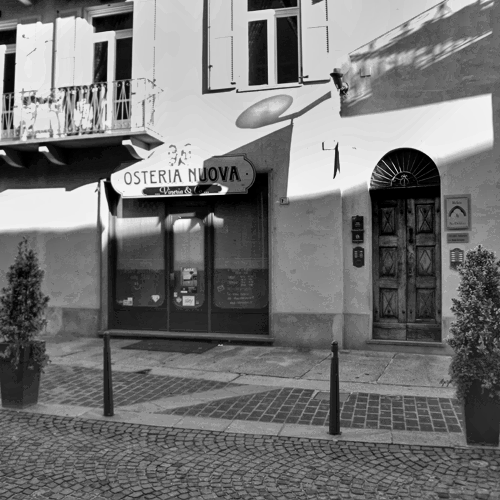 As we're nearing the end of our time in Alba we've decided to try a few more of the places we haven't visited - this time we're off to Osteria Nuova. The menu is written on the chalk board at the back of the room - divided into two sections - classic and specials, though if you can't read it, the waitress will recite the menu for you. 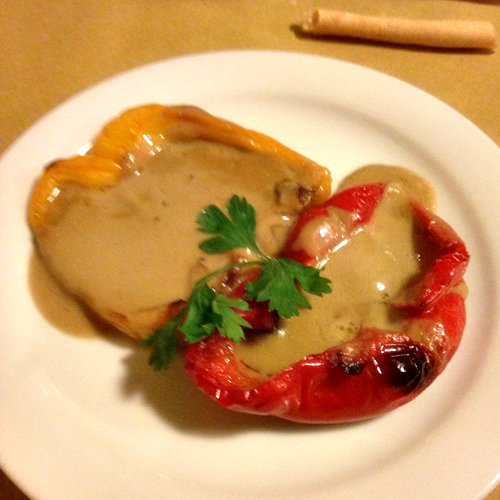 I order the roasted peppers with bagna calda - these were fantastic. The sauce was so creamy and heady with garlic and anchovy - perfect foils to the sweet roasted peppers. Paalo decided to try the Insalta Russa - and he was quite impressed - he thought it even better than the one at La Piola. 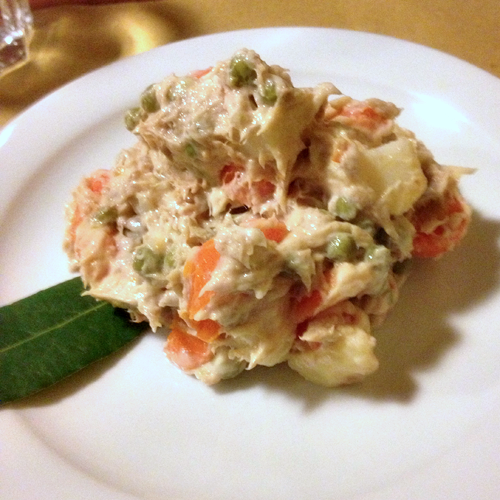 All the vegetables were well cooked, served in a more chunky size and the sauce had a bit of tuna running through it. 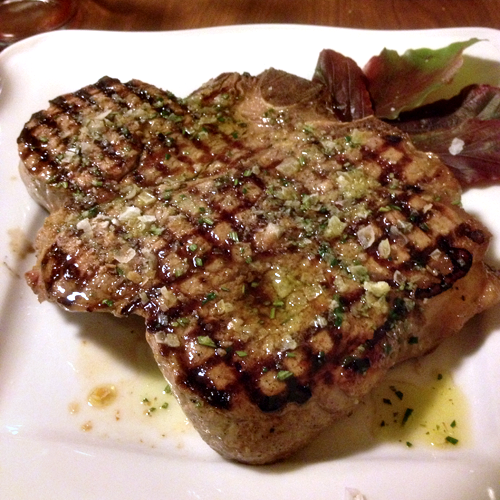 For mains we chose the Bistecca Fiorentina - when we ordered it, we weren't asked how we'd like it cooked. 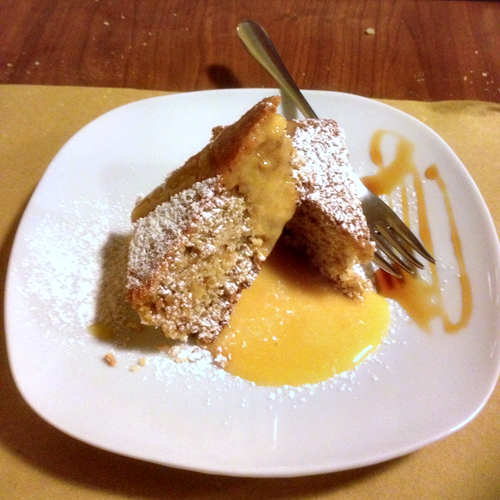 If they are traditionalists and this is a true "fiorentina", it can only be done one way and that is rare. Much interest on our part on how our steak would come out. 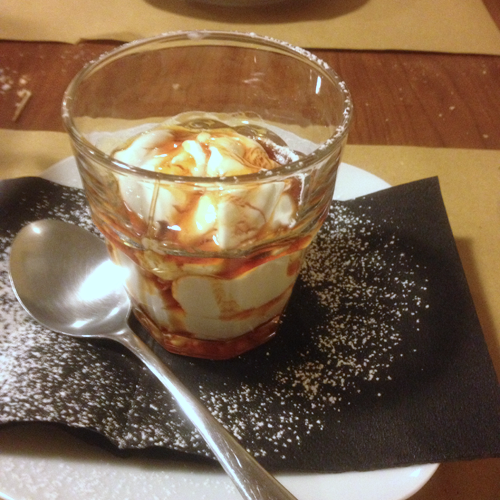 while Paalo had what he considers the "best panna cotta evah". We can't believe we've taken so long to dine here and it turned out to be so good - we're just hoping we'll be able to pop in again before we leave.